SRC, established in 1983, specializes in manufacturing blind rivets, blind nuts and riveting tools. 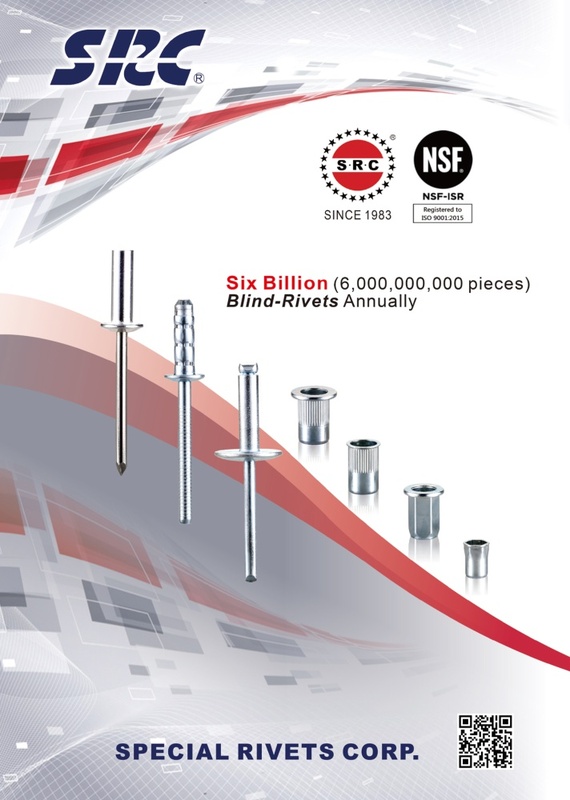 With two ISO 9001:2008-certified facilities in mainland China, we manufacture 500 million blind rivets every month and 200,000pcs high-quality riveters monthly to cover your largest, most demanding orders. SRC products are ideal for fastening various materials with wide assembly application for building, automotive, aviation, and electronics industries. 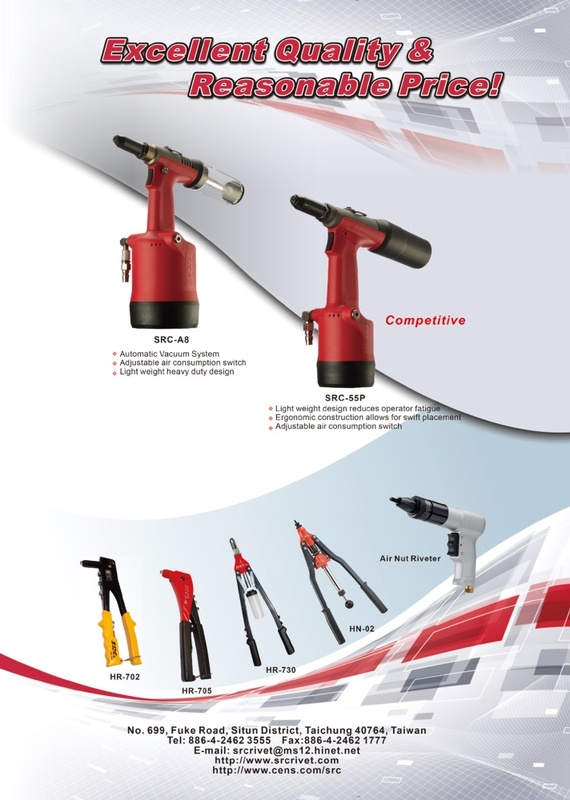 SRC products are designed according to the international standards and easily get access to various hand or air riveting tools for best performance. - Blind rivets are supplied in aluminum, steel, stainless steel, copper and monel materials available in various types including Peel, Large flange, Multi-Grip, Closed end & High Strength. - Steel blind nuts are supplied in flat and reduced heads available in cylinder & hexagon types. Our Shanghai facility is equipped mainly with Multifunction Heading Machines made in Italy and Taiwan, producing mostly All Steel, Stainless Steel, High Strength Structural rivets. The monthly capacity is 120 million pieces. In our Jiaxing factory, the main machines are 1-Die-2-Punches heading machines, producing mostly Aluminum Open End rivets. The monthly capacity is 360 million pieces.